London’s Lever Gallery is a commercial art gallery devoted to post-war lifestyle illustration – something of a forgotten art form in the UK. Whereas in the US artists such as Michael Johnson, Renato Fratini and Gianluigi Coppola have a strong following, in the UK their work is quite scarce, often damaged and in need fo restoration, but nevertheless very striking. 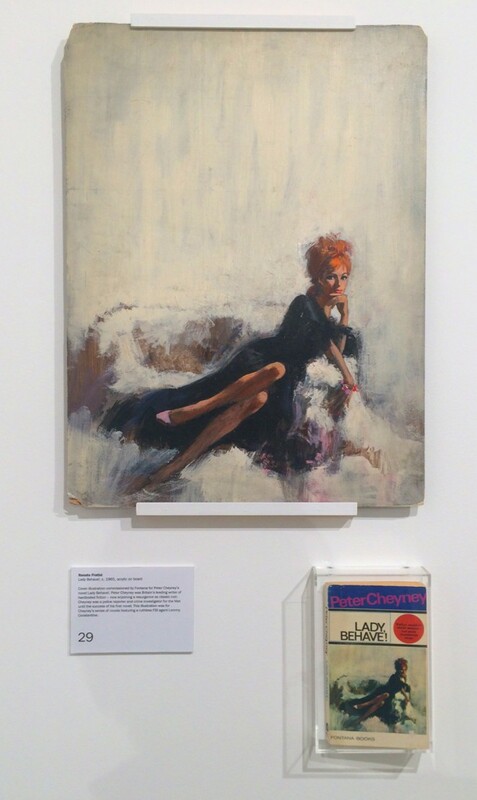 Uncovered: Illustrating the Sixties and Seventies, celebrates this iconic Pulp art through the display of rare original works created primarily for book covers. A special treat is the juxtaposition of the book covers with the original art. Pulp art sprung out of the art schools in the years after the war, peaking in the ’60s due to mass-market, affordable printing. The lurid colours and in your face illustrations style fitted perfectly with writers such as Mickey Spillane, Hammond Innes and Alistair McLean. It’s popularity then spread to reprints of books by authors such as CP Snow and Simone de Beauvoir, whose work was far removed from the hard boiled thrills promised on earlier covers. 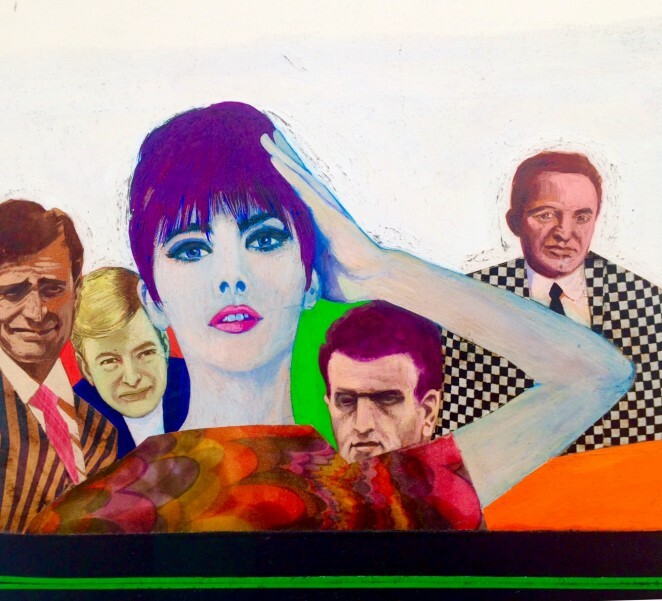 So to discover “a best-selling world where men were men, women voluptuous, good was good and bad was really evil,” head along to Lever Gallery, where Uncovered: Illustrating the Sixties and Seventies is on until 24 March.